When you have a big pile of raw content, it can be unclear what’s useful and what isn’t. 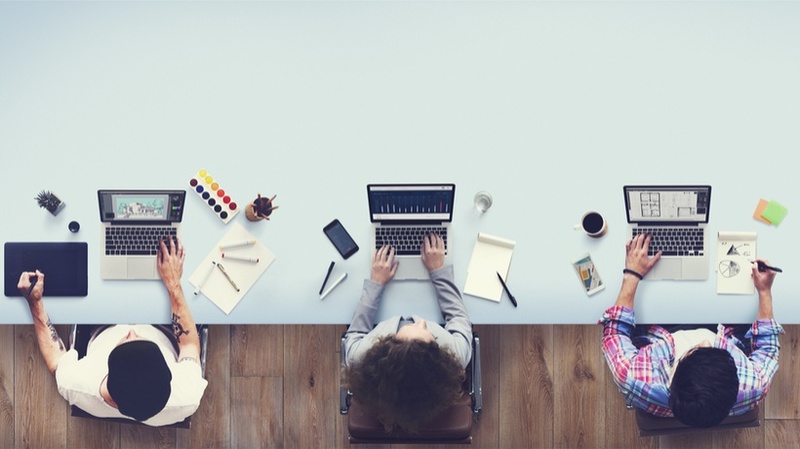 Is there a thorough way to curate eLearning content into learner-friendly formats? In this article, I’ll share 3 top eLearning content curation techniques to help you restore order to the content chaos. The Internet is a vast wilderness of mineable material. Users range from certified experts to bored teenagers. If you’re unfamiliar with a particular topic, finding reliable online training resources can be a challenge. It’s even harder for online learners to identify legitimate information from revolving memes. As an eLearning professional, you can help your audience bridge the gap by procuring high-quality eLearning content. Discover accurate, useful, viable information on their behalf, and disseminate it efficiently. Here are 3 eLearning content curation techniques that you may want to consider for your next eLearning course. For best results, combine them to create a top-notch content curation strategy that serves as an information sieve, letting valuable online training resources through and catching extraneous data. The first and one of the most important eLearning content curation techniques is to gather all the eLearning content you need based on online learners’ expectations and objectives. You could start by giving your online learners a quick survey. Run through your eLearning course topics, and find out if there’s anything they didn’t fully grasp. Ask them if there are any tangential topics they might like to dig into. For instance, if you’re teaching a foreign language online, what would your online learners like more of? Do they want local jokes, regional recipes, or business lingo? If it’s a public speaking online course, what specific tips do they want? Are they more interested in involving the audience or overcoming stage fright? Use keywords and general topics. Type them into a search engine and see what comes up. Don’t be too fussy at the start. Just note all the online training resources you discover. To keep track of them, copy-paste them in a text document, or a sticky notes app. Don’t curate or edit at this point. Just gather everything. Put them in a place that’s easy to spot, so that you can sift them later. If you’re a visual person, you could use a mind map or doodle app. This will help you arrange them pictorially for ease of eLearning content curation. You can even color-code them by pasting on different sticky note tabs. This eLearning content curation technique involves dividing the information and separating it into virtual piles. You must be able to provide the information in a format that is easily absorbed. It might be a list of links, a spreadsheet, an eLearning infographic, or a PowerPoint deck. Your choice of output should be intuitive and easy to navigate. Include a guide that shows online learners how to get the most from this eLearning content. Make sure your eLearning content is available in different formats and on various platforms. It should also be accessible from various devices. The simplest way to collate your data is to create folders. Title them and place relevant online training resources into each one. It’s easy to group certain types of eLearning content together e.g. all videos or all photos. But while this may be easy for you, it won’t be helpful for online learners. Instead, name your folders by topic. Following the example above, put all recipes together, and all jokes together. One folder could contain stage fright tips, another could offer audience engagement hints. A folder for chicken recipes can include illustrated recipes, how-to-videos, or a step-by-step audiobook version. This way, online learners can select the version they are most comfortable with. How do you memorize a difficult phone number with no logical pattern? Almost everyone begins with prefix or area code. After that, some people work in groups of two or three digits at a time. This is called chunking. It’s when you divide data into smaller groups to make it easier to remember. Chunking uses short-term memory to trigger recall. If you curate eLearning content into feasible chunks, more of those chunks will be retained in the long term. Alternatively, it will be cached in specific areas of your brain where you can retrieve it at will. Chunking creates an easy, repeatable path for pulling information from your mental archives to your working memory. There are three main ways to chunk your online reference materials. Once you’ve gathered all your additional eLearning content, draft a list. It should contain your material in order of importance. The working principle is that anything below the top five can be discarded. Put your most valuable online resources at the top, and work your way down. Option two is to follow the structure of your eLearning modules. Find and group online training material relevant to each eLearning module. The third approach is to go by visual sequence. If several sources would logically fit on the same unit of the eLearning module, group them together. For example, all images or video clips that pertain to communication skills will appear on a single unit, while eLearning content that deals with sales/negotiation skills shows up on another. More importantly, each online training resource would gradually feature more complex subject matters. The first might cover rudimentary tips, while the final online resource delves into advanced sales techniques. eLearning content curation effectively enhances the credibility of your eLearning course, while improving the skills of online learners. Collect your data from reliable sources to ensure accuracy. Jot down every piece of information you find on a note-taking app. Collate the information in a clear, coherent way, and draw a map on how to use your data system. Chunk the eLearning content into memorable pieces to aid recall efforts. Your chunks can be based on chapters, modules, sequence, or priority. With these three eLearning content curation techniques, you’re on your way to comprehensive eLearning content curation. How do you sift through all the available material and identify what really matters to your online learners? Which methods can you use to curate content more effectively? Do you know how to analyze and organize curated eLearning content? 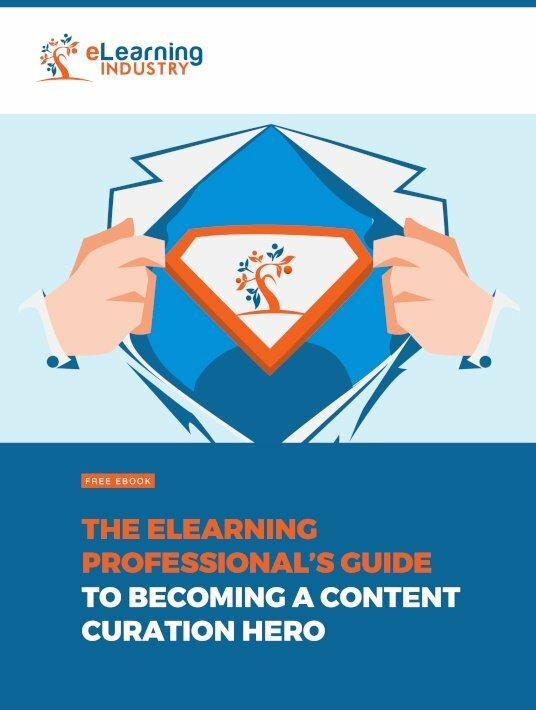 Download our free eBook The eLearning Professional's Guide To Becoming A Content Curation Hero to discover how to evaluate, analyze, and organize your eLearning content. You’ll also uncover the most notable advantages of content curation, as well as the most valuable content resources to add to your list.